Programmed in the early 1960s, Spacewar! is the granddaddy of video games. It's inspired countless other games and has stood the test of time. You know what else has stood the test of time? The game's source code. Here's how. 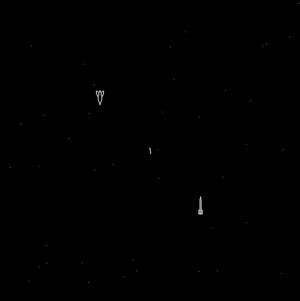 "In 1997 we posted a playable version of the Spacewar!, the first graphical computer game," netizen Trebonian tells Slashdot. That playable version uses the original source code, rebuilt in an authentic binary and ran on an emulator that was written in Java. "This should see the game through Spacewar! 's 50th (and hopefully 60th) birthday," adds Trebonian. "Expect another update around 2025." Consider our calendars marked.